In order to curb air pollution in Delhi-NCR, the Supreme Court has rejected the plea to extend the deadline for diesel-operated taxis to convert to CNG. All diesel taxis were ordered to stay off the roads of the National Capital from 1 May. The plea states that the move will affect the livelihood of poor drivers as there is no technology available for conversion of diesel vehicles into CNG. The court rejected it saying that no extension will be given as the required technology exists. The deadline has been extended twice earlier. The apex court has also pulled up the Centre for having failed to come up with more means to reduce pollution levels due to vehicular emissions. Catch spoke to a few taxi drivers at length to understand their take on the issue. An Uber driver said, "I bought a diesel Swift Dzire for Rs 7.5 lakh three-four months back. There was no Supreme Court ruling back then, and it seemed to be a feasible idea to buy a diesel car. However, just a month later the ruling came in. I am already paying a Rs 15,000 EMI, and now nobody will buy my vehicle. I have a family with two kids at home to look after. It is a helpless situation". Countless other Uber and Ola taxi drivers have echoed similar sentiments. 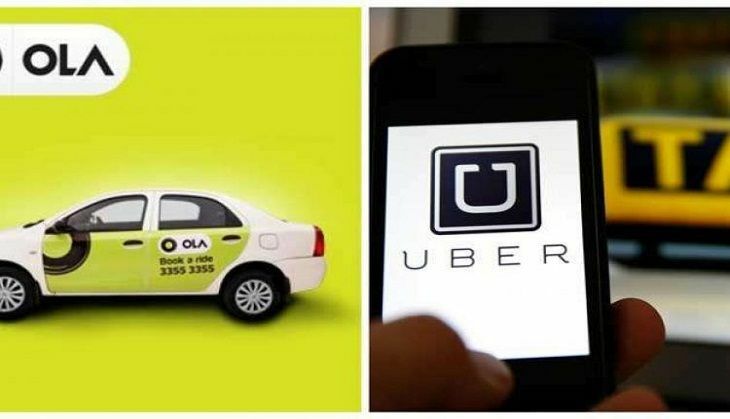 On 1 May, Ola announced that they have moved to a 100 per cent CNG fleet in Delhi-NCR. Following the ban, taxi drivers protested against the SC and caused a traffic jam in Delhi's border areas connecting Gurgaon and Noida on 2 May. Commuters had a harrowing time as they rushed to reach offices. Cab drivers also blocked traffic on the Noida side of the Delhi Noida Direct (DND) flyway leading to a massive congestion.